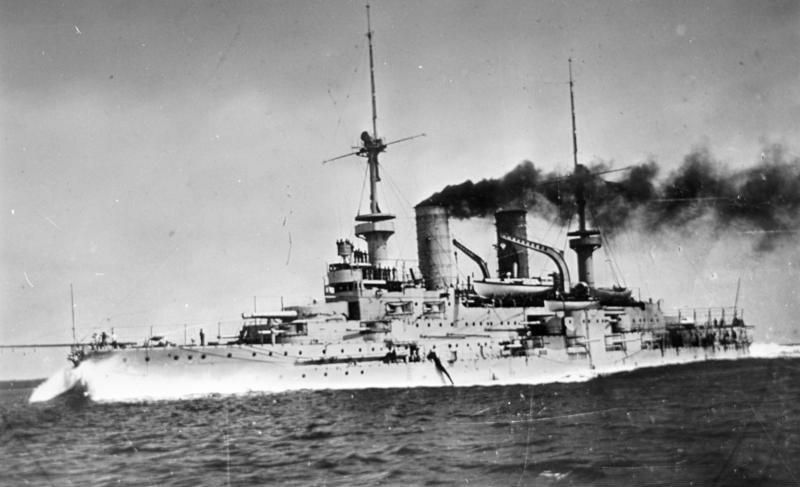 The Wittlesbach class were the first battleships ordered under Admiral Von Tirpitz 1898 naval law. They should mark some improvement over the previous Kaisers, but only the belt was reinforced. They were mostly an incremental step and saw little action during WW1. 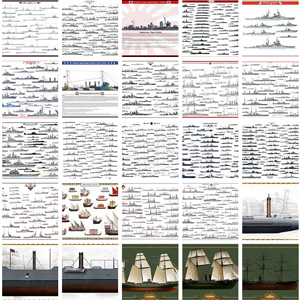 They were designed by the admiralty’s chief constructor and naval architect Prof. Dr. Dietrich. Apart revision on their belt, a part of Wittelsbach class battleships secondary artillery in turrets had been replaced by barbettes. Kaiser’s design lessons were also digested in terms of superstructure height and stability. 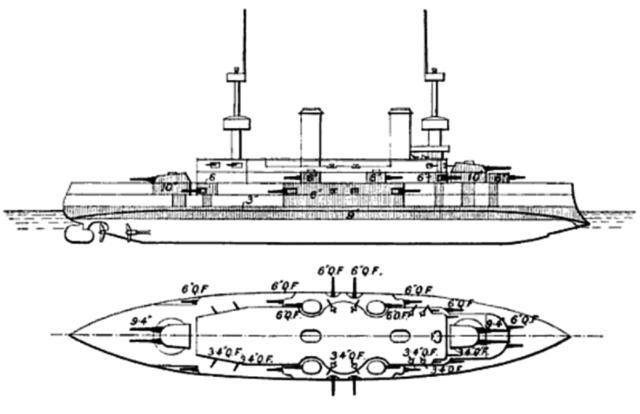 The hull stern section was raised and now formed a continuous deck. As for the Kaiser, the front turret was surelevated, resting on a superstructure bridge overlooking the front deck and integrating barbettes. Speed was slightly better and overall they were also heavier and much wider. 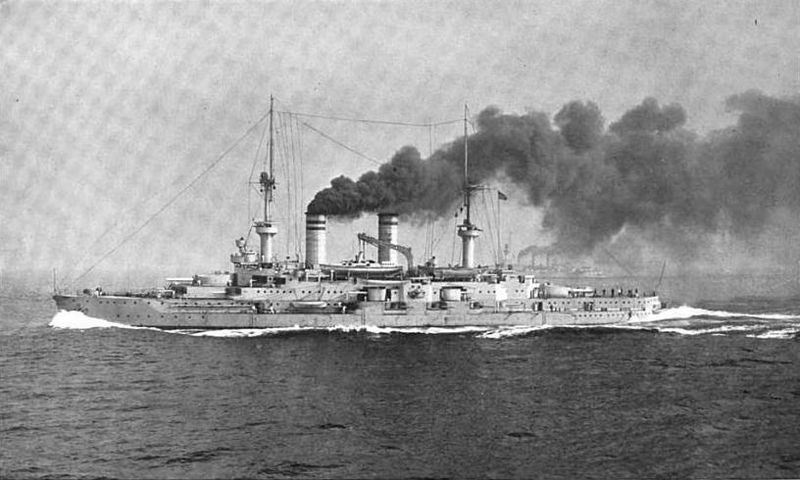 In general, Wittelsbach class battleships armament was closely related to the Kaiser Friedrich III class. Their four 24 cm (9.4 in) SK L/40 guns in twin-gun turrets were not as hard-hitting as contemporary 12-in artillery pieces but the Germans mostly favored firing on superstructure and with a better rate of fire. The turrets were Drh.L. C/98 models which allowed the mounts to elevate 30° and depress −5° for a maximum range of 16,900 meters (18,500 yd). The 140 kgs shells were fired at a muzzle velocity of 835 meters per second (2,740 ft/s). 340 rounds were stored for both turrets in total. The secondary armament of the Wittelsbach class as said above was new and comprised eighteen 15 cm (5.9 inch) SK L/40 guns mounted in single turrets amidships or in superstructure casemates. They were on the main deck level and often obsured in bad weather. Average rate of fire was 4–5 per minute for a well trained crew and 120 shells were stored for each gun, 2,160 rounds total. Depressio/elevation was −7 /20°, range 13,700 m (14,990 yd). These 51 kg shells existed the muzzle at 735 meters per second (2,410 ft/s). Contrary to the main guns, they were manually handled, not hydraulically. The tertiary armament comprised eight standard QF 8.8 cm (3.45 in) SK L/30 guns in the casemates, single pivot mounts. Ammo storage was between 170 and 250 shells, all 7.04 kg (15.5 lb) fired at 590 mps (1,936 fps), for an average 15 rpm. Ideal range was 6,890 m (7,530 yd). Also were installed twelve autocannons to deal with TBs. For close quarters, six 45 cm (17.7 in) torpedo tubes submerged covered all four directions. These 5.1 m (201 in) torpedoes carried each a warhead equivalent to 87.5 kg (193 lb) of TNT and had two range and speed settings. 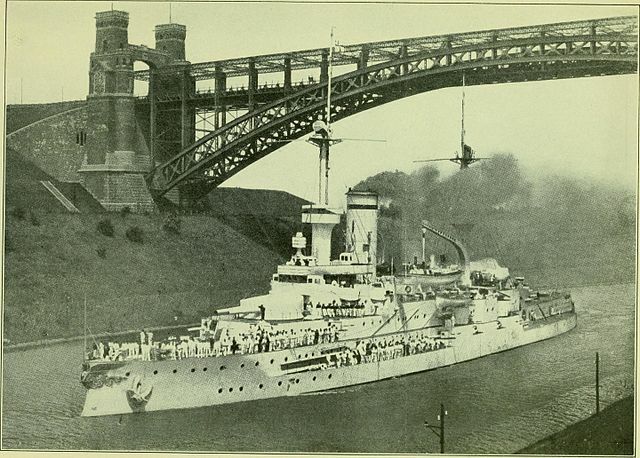 800 – 500 m.
Wittelsbach class battleships were designed with Krupp cemented steel, starting with 50 mm (2.0 in) thick decks with sloped sides 75-120 mm (3.0 to 4.7 in). 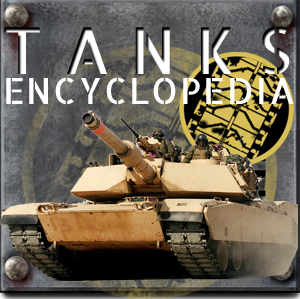 It was connected to the lower edge of the main armored belt, 225 mm (8.9 in) in the central citadel. Inside this “box” were the ammunition magazines and machinery. Forward and aft the belt was down to 100 mm (3.9 in) and no armor in the ends and the 100 mm of the belt were back-protected by teak planking. The 15 cm casemate guns had 140 mm (5.5 in) plating and those in turrets were protected by 150 mm (5.9 in) and 70 mm (2.8 in) shields. The main 240 mm turrets had about the equivalent in armor, at 250 mm (9.8 in) with 50 mm roofs. The forward conning tower had 250 mm walls and ended with a 30 mm roof while the rear CT was 140 mm. This was generally considered adequate an in line with contemporary designs like the British classes Formidable and London but still less than the French République or Russian Tsesarevich but their sloped connection were better overall. For the structure strength, the hull womprised transverse and longitudinal steel frames with riveted plates on the frames and ASW protection enhanced by 14 watertight compartments and a double bottom for 70% of the lenght. The machinery was symbolized by a 3-3-3 arrangement: Three shafts connected to three three-cylinder, triple expansion steam engines. The outer ones drove a three-bladed screw 4.8 m (15 ft 9 in) and the axial one a four-bladed 4.5 m (14 ft 9 in) screw. Six marine-type boilers provided the steam (six Thornycroft boilers and six transverse cylindrical boilers on Wettin and Mecklenburg). Electrical power camed from four generators rated for 230 kw (310 hp)/74 volts each although the lad ship had a more powerful egenrator of 248 kw. The boilers provided enough heat for 14,000 metric horsepower (13,808 ihp; 10,297 kW). As a result top speed was 18 knots (33 km/h; 21 mph) but trials speed ranged from 13,072 ihp/16.9 knots to 15,318 ihp/18.1 knots (33.5 km/h; 20.8 mph) on SMS Wettin. For autonomy they carried some 650 tons (640 long tons) of fuel in peacetime, increased in wartime three fold to 1,800 metric tons by using all the ASW hollow spaces inside the hull. Maxiumum range was therefore 5,000 nautical miles (9,260 km; 5,754 mi) at 10 knots. These were excellent sea boats, with a gentle 30° roll, stable platforms, and very agile yet they were criticized for their wet bow and severe vibration when at full speed. Until 1916 the Wittlesbach class battleships were kept in reserve with the 4th line squadron of line, which never ventured at sea. Judged too vulnerable and obsolete, they were never engaged. Later that year they were reassigned to subsidiary roles: SMS Mecklenburg became a floating prison, the others served as training ships. In 1919, the Wittlesbach (and the Braunschweig-class Lothringen) were converted into minesweeper speedboats carriers, with 10 F-type units on board in specially tailored holds on their bridge. The experiment ended in 1921. Both were struck down and broken up. The others shared this fate except SMS Zähringen which was converted in 1926 into a radio-controlled target. She served in this role until December 1944: Anchored in Gdynia, she was bombed by the RAF and afterwards her hull scuttled by the Germans to block the port. 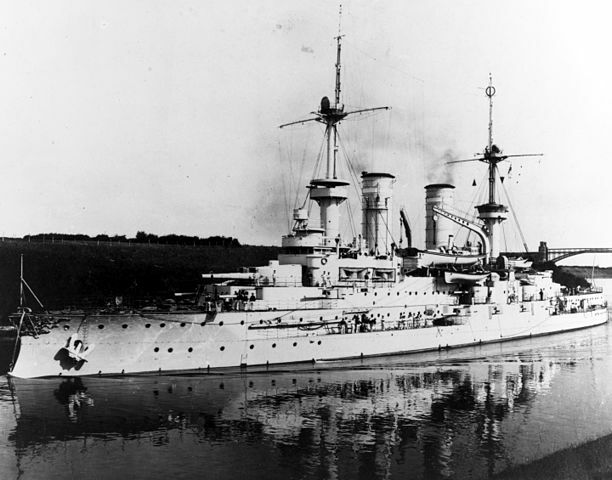 The three-years built SMS Wittlesbach, lead ship, was made at Kaiserliche Werft Wilhelmshaven. 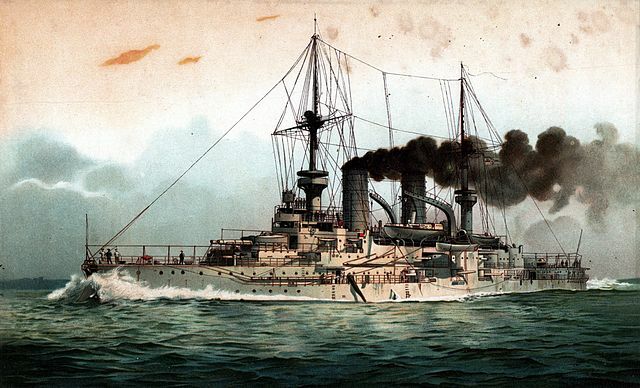 When in service in the fall of 1902, she was affected to the Ist Squadron of the Hochseeflotte until 1910, making extensive training and alternating with good-will visits abroad. 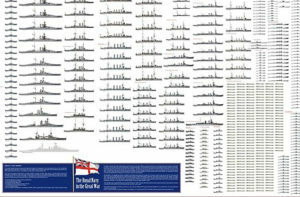 Thanks to this yearly training the High Seas Fleet was ready for action in 1914. However she was decommissioned in September 1910 for a drydock revision and was back in commission in 1911 as a training ship until 1914. When the war broke out, SMS Wittelsbach joined the IV Battle Squadron prepared for action in the Baltic Sea. 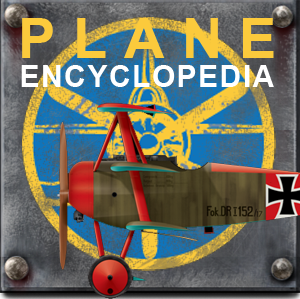 Her only wartime significant action included the Battle of the Gulf of Riga in August 1915. However she never spotted or exchanged fire with the Russian fleet. 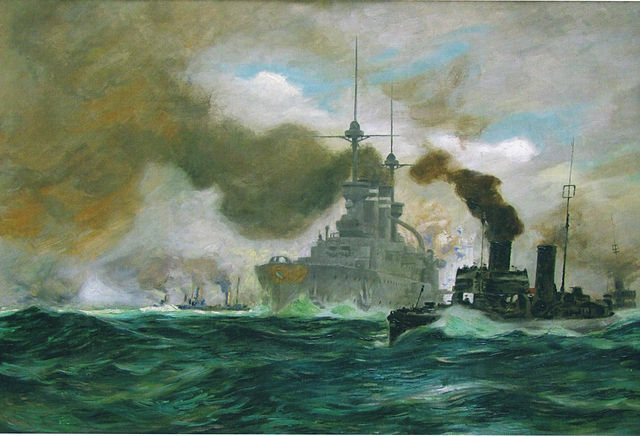 Late 1915 both reduced crew and caution from the admiralty, notably the fear of British submarines roaming the north sea provoked her retirement. She became an auxiliary vessel, first a training ship and later a tender. After the was she was revbuilt and modified to serve as a tender for minesweepers until July 1921, sold and broken up. 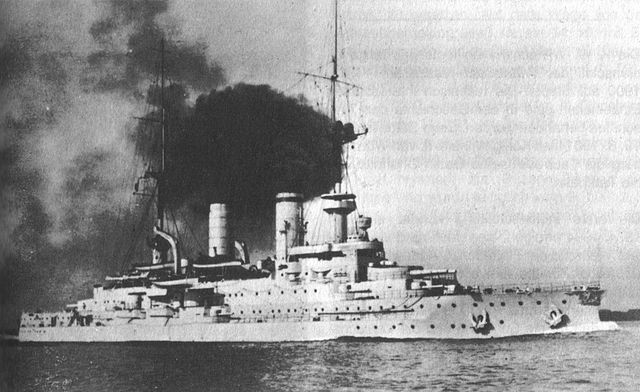 SMS Zähringen came from Germaniawerft. 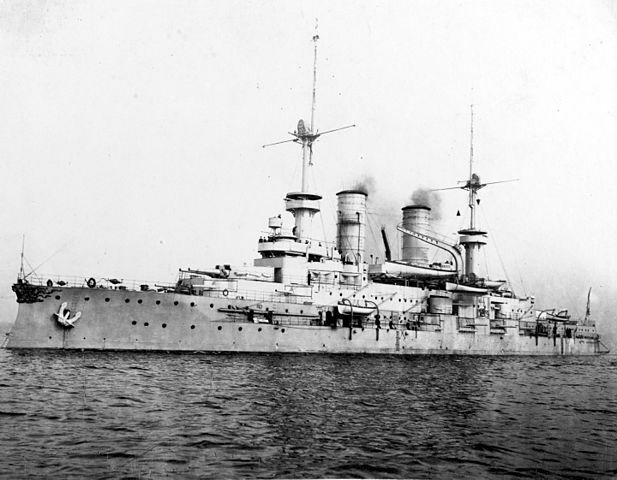 She was in service from October 1902, joining the I Squadron of the Kaiserliched Marine until September 1910. In the meantime between fleet exiscizes she frequently visited foreign ports as a courtesy. She was back in service for training in 1912 after drydock refit, but during one of these missions, she accidentally rammed and sank a torpedo boat. From August 1914, she fully commissioned in the IV Battle Squadron. She served in the Baltic Sea, participated in the Battle of the Gulf of Riga in August 1915 and in late 1915, she was withdrawn from the first line. She served afterwards as a target ship for torpedo crews from 1917. After the war ended, she was completely reconstructed as a radio-controlled target ship. She was kept active in this role, guided by a modified TB at a distance until 1944 in Gotenhafen. She was indeed sunk a British bomber raid, raised afterwards by German troops only to be moved to block the harbor mouth access and scuttled. She had to wait to be partially raised and broken up from 1949–50 to free the harbor. SMS Wettin was built at Schichau-Werke (Danzig) from 10 October 1899 to 1st October 1902, the first of all three battlehiops delivered that year. 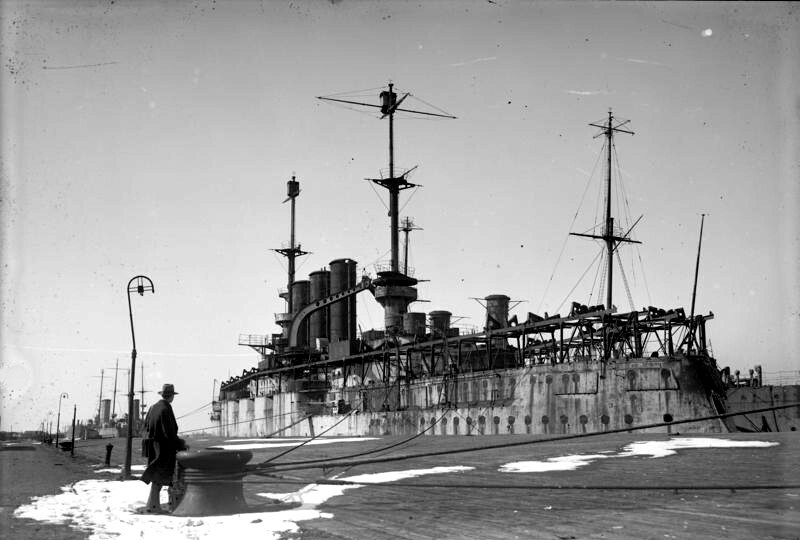 She saw service with the Ist Squadron of the Kaiserliched Marine until decommissioned in June 1911 (annual training, and good will visits), went through a drydock refit and then relegated to training duries, reactivated to serve as a gunnery training ship until mid-1914. She was fully reactivated during the war, and joined her sister-ships at the IV Battle Squadron, Baltic Sea. During the Gulf of Riga naval battle in August 1915, she only participated as a backup force. Late 1915 manpower shortages and admiralty caution had her reduced as an auxiliary ship for the Kaiserliche Marine. She served until the end of the war as training ship for naval cadets and later depot ship. She was stricken and scrapped in 1921. but her bell was preserved at the Militärhistorisches Museum der Bundeswehr in Dresden. 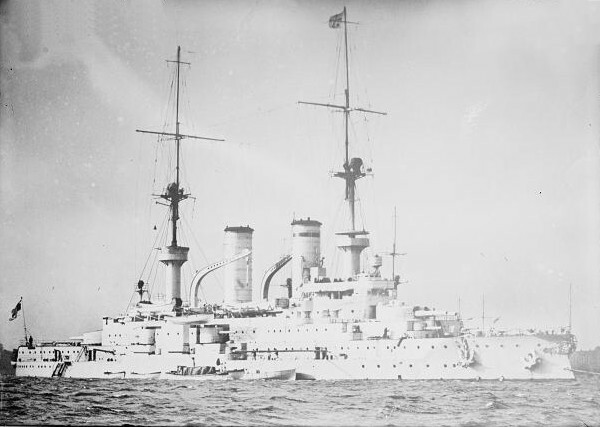 Schwaben was built at Kaiserliche Werft Wilhelmshaven, laid down on 15 September 1900, launched 19 August 1901 and completed 13 April 1904, after which she joined the 1st battle squadron until 1904, and was then converted as a gunnery training ship until 1914, while keeping an edge by partcipating in all yearly large scale fleet exercises. 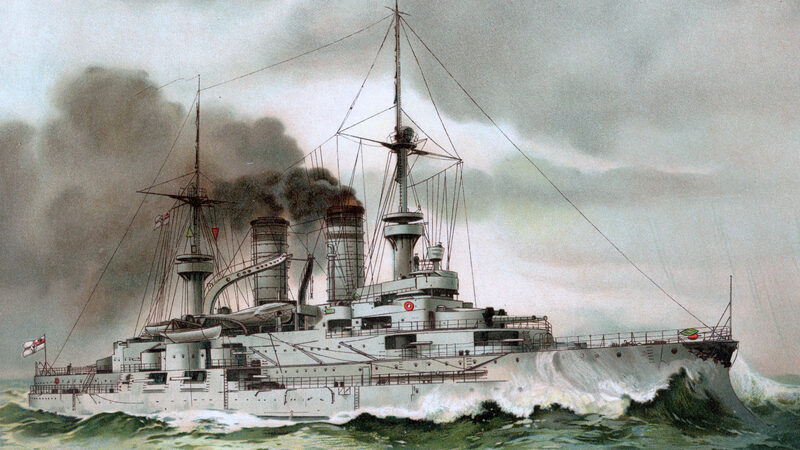 When the was broke out, SMS Schwaben was given to the IV Battle Squadron, North Sea ande Baltic. Like the others in 1916 she was stripped of her crew, part of her artillery, and ended as an engineering training ship for navy cadets. She was still used by the Reichsmarine until June 1920 as a depot ship for minesweepers, but stricken in March 1921. SMS Mecklenburg was built at AG Vulcan NyD of Stettin, laid down on 15 May 1900 launched 9 November 1901 and completed on 25 May 1903. She joined the 1st battle Squadron of the German fleet, between training cruises in all seas and exercises. When the war broke out she joined the IV Battle Squadron in the Baltic, and later became a guard ship for the North Sea. In January 1916 she was withdrew, modified, stripped of her armament and served as a prison/barracks ship at Kiel, stricken in January 1920, scrapped in 1921. Propulsion: 3 shafts TE engines, 12 boilers, 15,000 hp. Armament: 4 guns of 280 (2×2), 18 of 150, 12 of 88 mm, 6 TLT 450 mm.